Castille-La Mancha is a Spanish autonomous community formed by the provinces of Albacete, Ciudad Real, Cuenca, Guadalajara and Toledo. The President of the Council of Communities of Castille-La Mancha, according to the Statute of Autonomy of Castille-La Mancha, presides the Autonomous Community. This list also includes the preautonomous presidents that held office from 1978 to 1983. Below is the chronological list of the presidents of Castille-La Mancha. 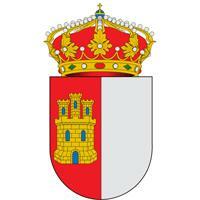 Who do you think is the best candidate for mayor of Albacete?